20th April 2017: Royal Enfield, the fastest growing motorcycle brand in the world today announced opening of its second direct distribution subsidiary outside India, in Brazil, the fourth biggest two wheeler market in the world. With São Paulo as its Brazilian headquarter representing the largest motorcycle community in the country; the motorcycle brand launched its first flagship store in the heart of the city at Avenida República do Líbano, 2070, Moema. The newly-formed subsidiary - Royal Enfield Brazil - will be selling to dealers, as well as conduct all front end development and support activities such as marketing and after-sales in the country. Royal Enfield’s first direct distribution subsidiary outside India was - Royal Enfield North America (RENA) that was set up in 2015. The brand also has strong presence in Colombia, another important two-wheeler market in Latin America. The subsidiary and its regional office in São Paulo, is under the leadership of Claudio Giusti, Country Manager, Royal Enfield Brazil, responsible for handling its operation in the market, including sales, marketing, communication, warranty, and after-sales. 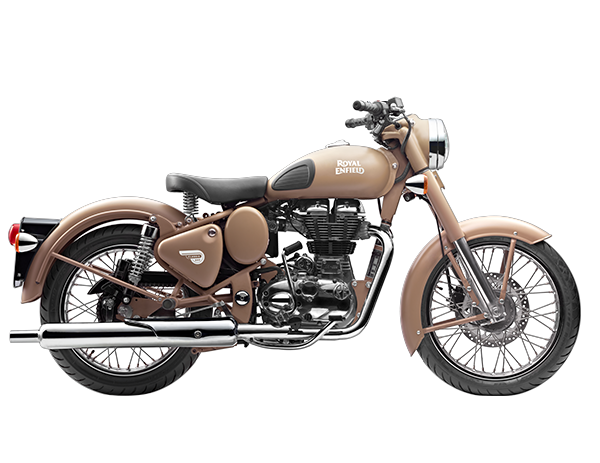 Royal Enfield has entered the Brazilian market with lineup of three of its widely popular models featuring single-cylinder engines currently up to at 535cc. Available models include the iconic standard street model - Bullet 500, the retro street model - Classic 500 and the Continental GT (535cc) cafe racer. With a compounded annual growth rate (CAGR) of more than 50% in last six years, Royal Enfield has grown phenomenally, becoming one of the most profitable automobile brands in the world. Royal Enfield sold more than 660,000 units globally in FY 2016-17, and intends to ramp-up its production capacity to up-to 900,000 motorcycles by end of 2018, to meet its increasingly rising global demands.